Cutting through the noise of an overcrowded app market is critical for any app developer looking to build a viable user base. There are now well over 3 million apps available across the world’s five largest app stores. Delivering the right product to the right audience at the right time in this environment is imperative to the success of any app. The challenge of marketing an app effectively has made app-install ads — an ad unit that directs users to download a mobile app — an essential tool for developers seeking to stand out in the Google Play and Apple app stores. This is why it’s not surprising that more marketers are using paid channels to drive downloads than ever before. In fact, over 80% of respondents in a survey of the top 100 grossing mobile app developers noted they plan on increasing their spend on app-install ads in 2015. 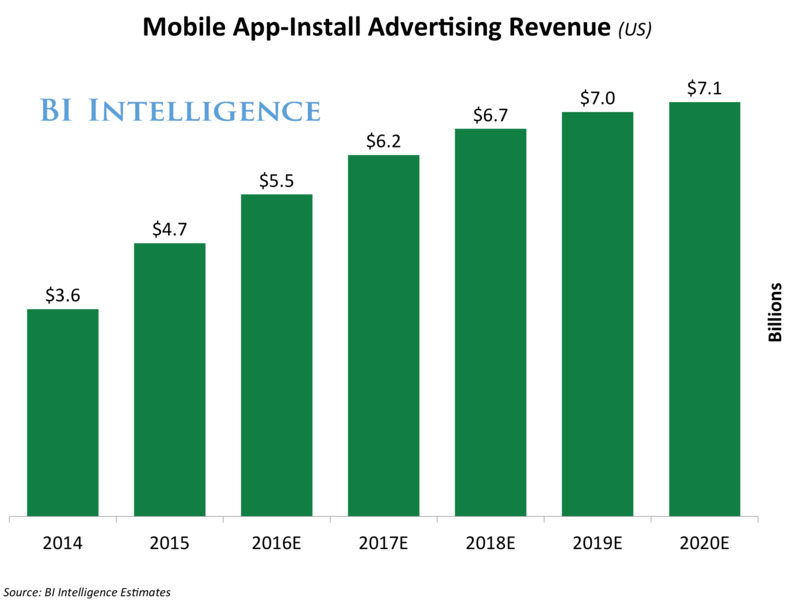 In this report, we’ll look at the revenues from app-install ads and how they’re expected to grow over the next five years. We’ll also look at the performance of app-install ads and how these metrics are expected to change over time. We’ll examine the top app-install ad products and pricing models offered by the leading advertising platforms, including Facebook, Twitter, Yahoo, and Google, as well as newer app-install formats from Instagram and Snapchat. Looking to the future, we’ll examine how companies are shifting their app-install ad spend to new formats, as well as the new tools they’re using to improve optimization and ad effectiveness. As formats like video rise in popularity, older formats are losing their appeal for install campaigns. Static nonnative ads are widely used but are not seen as effective. Free app networks and offer walls have also fallen out of favour. The choice is yours. But however you decide to acquire this report, you’ve given yourself a powerful advantage in your understanding beacons and CPG.